Each year, the Global Wellness Summit (GWS) identifies new trends that will have a meaningful impact on the $4.2 trillion wellness industry. Significantly, this is the only wellness forecast that draws from the insights of the 600-plus executives who were delegates and presenters at the 2017 Global Wellness Summit. In addition, the GWS Forecast is the sole trends report based on the perspectives of renowned economists, medical and wellness professionals, academics, and leaders across all sectors of the wellness industry. On the opening day of the Summit, the non-profit Global Wellness Institute launched “The Wellness Moonshot,” the first global commitment to achieve a world free of preventable disease. And in many ways, The Moonshot perfectly reflects this 2018 Wellness Trends Forecast. Each of the eight trends speaks to either entrepreneurial or personal wellness moonshots that push the health and wellness envelope in unprecedented ways. We predict that these very new directions in wellness will grow worldwide and become big businesses in the years ahead. For instance, seemingly “out there” magic mushrooms show promise to treat depression and anxiety–and major academic institutions and Silicon Valley are stepping up research and investment. The wellness travel space, in very creative ways, is moving from experiential to truly emotional and transformative travel. Forward thinking medical professionals are looking at how lifestyle habits during preconception–and the health of the father’s sperm–will impact a child’s health for a lifetime. The new Wellness Kitchen will (finally) become a reflection of our current wellness values and lifestyle, instead of serving as a relic of the past. Extreme wellness approaches, such as a surge in DNA/biomarker testing to create a hyper-personal health roadmap, are on the rise. And people are taking charge of air quality, a health crisis that governments have not addressed in meaningful ways. 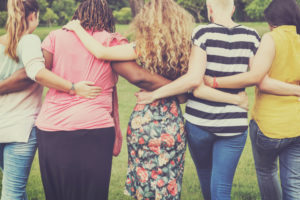 A new happiness science is identifying what we need to focus on in wellness, and in this year of female empowerment, a new feminist wellness is rapidly emerging. As people worldwide embrace their own health and wellness destinies, these trends will continue to expand – and our own personal moonshots will become worthwhile goals in 2018 and beyond. Access the Press Release announcing the 2018 Global Wellness Trends, here. Access the PowerPoint Presentation, here. The mysterious underground kingdom of mushrooms is actually the largest set of organisms on the planet – and in 2018 more people will explore the unique medicine they provide our brains and bodies. Thanks to a surge in rather mind-blowing medical evidence, demonstrating that they reset the brain and shake the “snow globe” on rigid neural patterns, magic mushrooms will emerge from the underground, and could prove “better than existing treatments” for anxiety, depression and addiction. And more, bigger studies are ahead, such as Compass Pathways’ 2018 trial across eight countries in Europe – the largest psilocybin study to date. There’s also a legalization movement, with pushes to get magic mushrooms on ballots in California, Oregon and Colorado, and with experts predicting they will be legalized medicine within five years. Microdosing psilocybin as a brain booster, a trend straight outta Silicon Valley, will go more global. 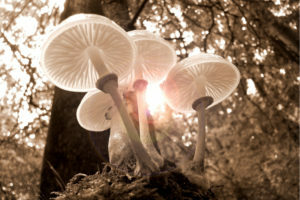 And a new kind of wellness “trip,” magic mushroom retreats (like Mycomeditations, Jamaica), will keep popping up. This magic mushroom moment bears resemblance to early days in the cannabis wellness trend. Think how lightning-fast attitudes and laws changed there. The evidence also mounts that so many “regular” mushrooms are magical for health: particularly as stress and inflammation fighters. Playing a starring role in Asia’s centuries-old food-as-medicine philosophy, now the functional mushroom trend is becoming a global reality. We’ll see mushrooms (esp. “adaptogenic” varietals like reishi, cordyceps, chaga) get infused in everything imaginable: powders, lattes, cocoas, chocolate, broths, oils and teas. And with many mushrooms boasting unique skin-boosting powers, mushroom-infused products will keep invading the beauty aisles. Mushrooms…weird, far out? Anything but: this trend is driven by new medical evidence. Wellness is, by nature, a journey – an ongoing physical and emotional quest. So why, at even amazing wellness/spa destinations, do classes, treatments and experiences get served up piecemeal? You have that massage, and wonder, what now, the room, the pool? You haven’t been wrapped up in a true wellness “narrative” so you could get…bored. “Transformational travel” is the 2018 buzzword, described as “…travel that challenges people on a deeply personal level, creating emotion through the powerful medium of storytelling…” And we predict more wellness destinations will use the power of wellness circuits and epic storylines to create a “necklace” of linked wellness experiences rather than the disconnected “beads” of programming, amenities, and itineraries. A bold first: the opening of Six Senses Bhutan (May), a multi-chapter wellness circuit where people journey across five lodges, at each totally immersed in one of five key pillars of Bhutan’s “Gross National Happiness Index.” More destinations will cast you as the fearless heroine in a dramatic wellness saga: In Iceland’s The Red Mountain Resort concept spa-goers follow the intense, five-chapter emotional and sensory voyage of an ancient Icelandic hero. (More wellness experiences will deploy fantasy and wellness “avatars” – consider the craze for “training like a mermaid”.) 50-minute treatment? Spa experiences will be reimagined as active, long, nature-roaming journeys (a circuit of hiking, meditation, treatments, etc. ), like the all-day Spa Safari at Nihi, Sumba Island. More performance, music and art (“story” immersion) will get served up with wellness: like soaking in hot springs while listening to a live concert (coming to Peninsula Hot Springs, AU). The “transformative travel” concept will surely get used to death, but in wellness travel it’s the very brand and promise. The future for wellness travel will be engaging people’s emotions as much as evidence-based healing. We all know that it takes a sperm and an ovum to create a baby. However, in our mom-centric world, we have not recognized that the health and lifestyle choices of both parents during the pre-conception period – including emotional wellness – can impact their child’s health for a lifetime. This new trend challenges us to look before the traditional 1,000 days of pregnancy and early childhood and puts sharp focus on the role of epigenetics, the study of how gene expression changes with environmental and lifestyle factors, and that can be inherited. It also examines the father’s role in creating a supportive and healthy environment during pregnancy and after birth. As more research is released, expect to see new guidelines that that go far beyond “no smoking or alcohol during pregnancy.” And these recommendations will include dads as well as moms. In addition, wellness treatments and techniques, such as yoga, massage, and mindfulness, will be the first choice to treat babies and children of all ages suffering from injury, sleeplessness or pain. Driving the trend: Dr. Sergio Pecorelli, MD, PhD, University of Brescia Italy, and a global team of scientists. For generations, kitchens have been places where we store dead food in dark cupboards – that would be consumed months, or even years, later. However, the old eating and lifestyle habits of the 1950s are history, and today more people want to eat living, healthy, organic food. 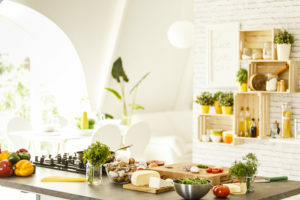 The newly christened “Wellness Kitchen” will store and showcase fresh fruits and vegetables as opposed to processed foods, and new designs and technology will celebrate uncluttered, well-ventilated spaces that are as encouraging of socializing as they are of preparing healthy food. Refrigerators will be reimagined to properly store and transparently display fresh fruits and vegetables, and kitchens will have space for gardens and sprouting. Noisy appliances will be a thing of the past. Composting delivery systems and particulate and oxygen sensors will be standard features. And there will be more emphasis on healthy building materials. Because just like the food it contains, the Wellness Kitchen doesn’t merely feed – it nourishes. Leading examples: Veronica Schreibeis, CEO and Founder, Vera Iconica Kitchen; International WELL Building Institute; Pratt Institute, Industrial Design Department. This can mean filling our homes and offices with plants, donning chic air pollution masks, actively monitoring indoor air quality using new sensors and apps, investing in devices that purify the air around us (even within the confines of our cars), adopting the storm of new pollution-fighting beauty regimes, embracing more salt therapy and breathwork training, or choosing “lung-cleansing” travel destinations. 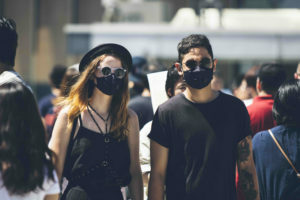 Significantly, this trend will put more pressure on businesses and governments to take action against the ultra-fine particulates that are dirtying our air. The power to become the best we can be has never been more attainable, and the pursuit of wellness has never been more extreme. Brain “hacks” are on the rise, and there is a surge in brain-optimizing nootropics and even private brain optimization clubs, like the soon-to-launch Field in New York City, which uses neuromodulation technology to create that “elite brain.” An age of hyper-personalized, deep-view health and wellness, thanks to tests combining DNA, epigenetic and microbiome testing (like Wellness FX), is on the horizon. In the name of physical and mental wellness, humans are re-wiring themselves to achieve the once impossible. More people will train like an Olympic athlete, or tough out extreme “mind over matter” workshops, like the “Ice Man” Wim Hof’s training in Switzerland, deploying meditation and breathwork to brave extreme ice and learn to master our immune and autonomic nervous systems. (Note: ice is very hot, and icy and extreme hot/cold experiences are one of the top trends at wellness destinations.) The new luxury travel escapes challenge both body and mind: take Black Tomato’s “Get Lost” adventures, where the very brave are dropped into the wilderness to fend for themselves. The focus: building a better brain and hacking the body’s basic make-up through precision medicine and wellness – anything and everything seems suddenly possible. With a bit of grit – extreme wellness often borders on scary and downright uncomfortable – an open mind, and a little extra cash (this is not necessarily affordable wellness), get ready to build a better you in 2018. Because extreme challenges and experiences will bring a wealth of super powers to everyday, ordinary humans. “Happiness,” “wellness,” “well-being”, the terms get used interchangeably but distinctions are emerging: wellness connotes a state of overall health, while happiness is a more perceptual concept – how people feel about and experience their daily lives. If happiness has always felt like an especially vague concept and personal pressure, now there is a new body of hard science measuring what actually drives the most human happiness. Annual research like the World Happiness Report and Gallup-Sharecare Well-being Index take the global pulse on people’s happiness and these scientific surveys reveal crucial things. One, people overall aren’t very happy: The World Happiness Report (155 countries surveyed) reveals a world with a mediocre 5/10 happiness score. Two, happiness cannot be reduced to physical health or GDP (“money”): while those are two key measures, all the happiness research concurs that strong social connections and community are the most fundamental components for happiness. This is a key reason why poorer, unhealthier nations (i.e., Mexico, Costa Rica, etc.) 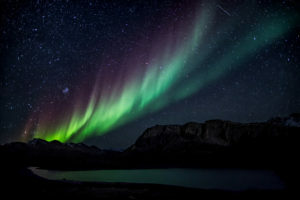 often rank higher than rich, healthy ones; why the U.S. is seeing happiness plummet; why people in China, despite extraordinary per capita income gains, are no happier than they were 25 years ago; and why Northern European nations (like Norway, Denmark, etc.) always hit the happiness scores right out of the park. Another fast-growing body of science provides the other key happiness lesson: the alarming new research on how constant digital connection, and designed-for-addiction smartphones and social media, are creating a depression and anxiety epidemic. The two most actionable lessons from the happiness science are becoming clear: the world – and the wellness world – needs to put a much more powerful focus on the wider concept of happiness generally, and on driving much more social connection and technology disconnection specifically. We predict insights from the annual happiness reports and wider “happiness science” will continue to grab the world’s attention in 2018 and will directly shape more government policy and workplace wellness strategy – as well as what wellness businesses will (and should) increasingly focus on. Happiness is no longer some frivolous concept, as evidence mounts that it has a powerful impact on everything from physical health to employee productivity. There’s so much action on the happiness front. Governments are moving beyond the narrow lens of GDP to tackle the problem of unhappy populations: the UAE has appointed the world’s first Minister for Happiness and the UK just appointed a Minister of Loneliness. In the face of school violence and a high-stress curricula only focused on high grades, schools are now actively teaching happiness. For instance, this April, Delhi, India will launch daily “happiness” classes for students at all public schools from nursery school through 8th grade. 2017 was a year of attacks on, and fighting back, by women: The U.S. presidential administration threatening women’s rights, the 5 million-strong global Women’s March, Harvey Weinstein, MeToo, the exposure of the Silicon Valley boys club. #Resist and #thefutureisfemale became global movements, and “feminism” was rightly named the word of the year. With this new feminist wave, we’ve also seen a shift in the self-care concept: from more selfish (me) to more political (us). Of course, the reality is that the woman-dominated wellness world has been steadily solving for women’s bodies and lives for years, creating, in effect, a supplemental, woman-focused healthcare system. With this confluence of forces, we predict new intersections between women’s empowerment, feminism and wellness in 2018. The woman-empowering message in wellness will get more explicit and the parameters of what constitutes wellness for women will radically expand. By women, for women, wellness solutions will march strong. We’ll see more women-only clubs, co-working spaces, and collectives: where women work, network, empower each other, unwind and learn – with much wellness on tap (From NYC’s The Wing to LA’s WMN Space). The FemTech wave will only rise, with a new army of women doctors, technologists and designers “solving” for women’s actual bodies and lives – whether apps putting fertility, contraception and hormone tracking in women’s hands (Natural Cycles, MOODY U) to “smart” clothing engineered for real women’s bodies (Universal Standard) to a raft of for-women sexual wellness products/platforms. Women of color will move the industry beyond #WellnessSoWhite, whether with for-them fitness and yoga classes to beauty brands rolling out cosmetic lines that reflect dozens of skin tones (Fenty Beauty). More wellness travel will be squarely aimed at women’s empowerment: from more tough all-women’s adventure travel to more “painmoons,” wellness retreats providing women emotional healing after divorce, breakups, grief, anger, loss of sexual happiness, etc. There will also be new, more feminist beauty programs, that put a brain back in the beauty equation – like Six Senses soon-to-launch Holistic Anti-Aging clinics. This fourth wave of feminism is galvanizing this rush of for-women, by-women wellness. But no matter the future political climate, this trend comes down to one fact: the sheer growth in women’s spending power, because economists agree – the global economic future is female.